Today, I have a new layout to share that was up on the Echo Park Blog yesterday! I love seeing the fun new collections that Echo Park puts out throughout the year. 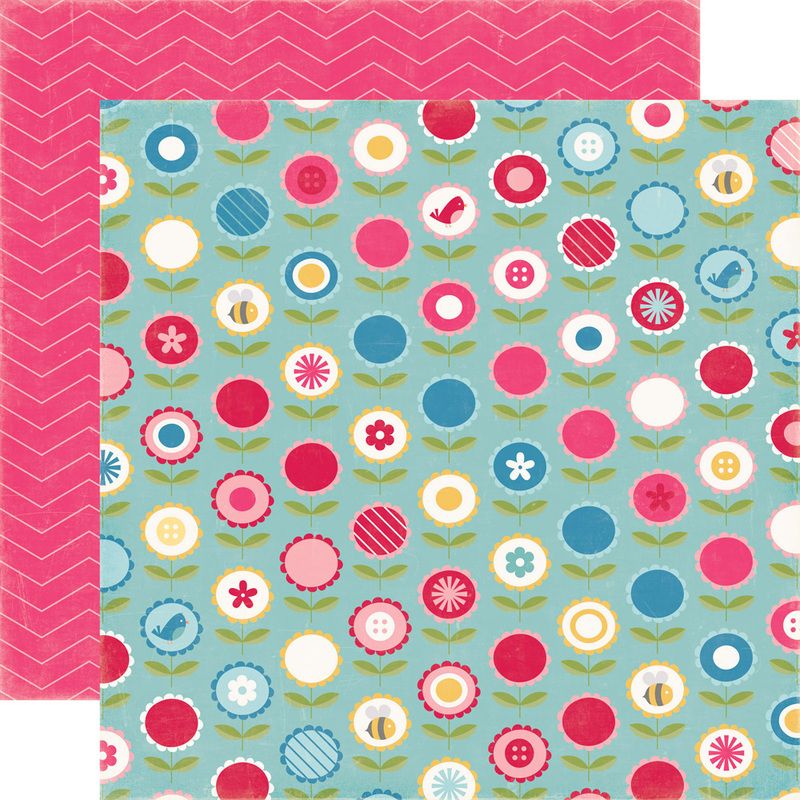 The Fine and Dandy collection really caught my eye, because of the bright, fun colors! There are also some fine Designer Dies and Designer Stamp sets with this collection. 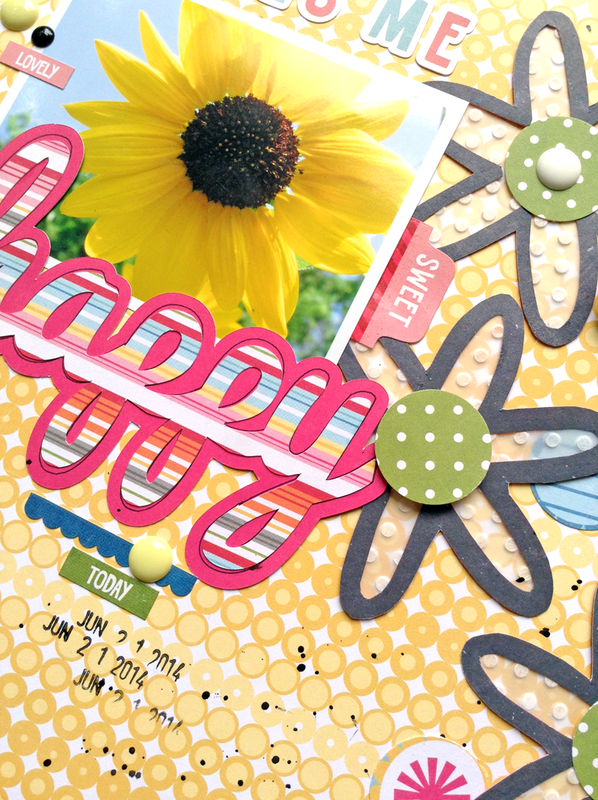 Today, I am sharing a layout and tutorial using the Flower #1 Designer Die Set. I started out by cutting 5 of the flowers out of vellum with my manual die cut machine. Next I placed the vellum flowers in a polka dot embossing plate and embossed each of the vellum flower pieces. After the vellum flowers are embossed, place your die on the backside of the Smoky/Pink paper and outline the inner and outer edges with a pencil. Once the die has been traced, cut out the center of the flower. Add some adhesive around the backside of the flower and adhere the vellum flower to the backside. Then you can use a circle punch to punch 5 circles from the Green polka dot patterned paper, in the 6x6 paper pad and add a pop dot underneath to give some dimension to your flowers! 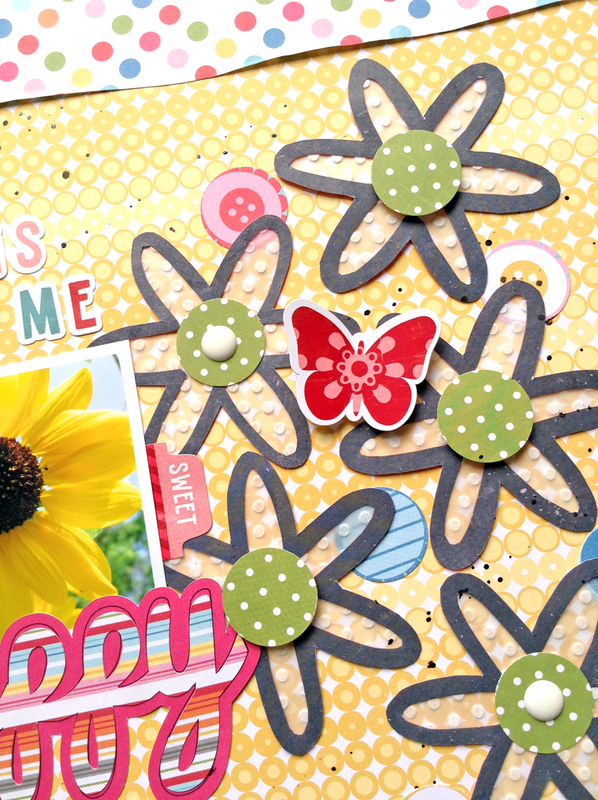 Look for fun, new ways to use the Designer Dies on your next project! 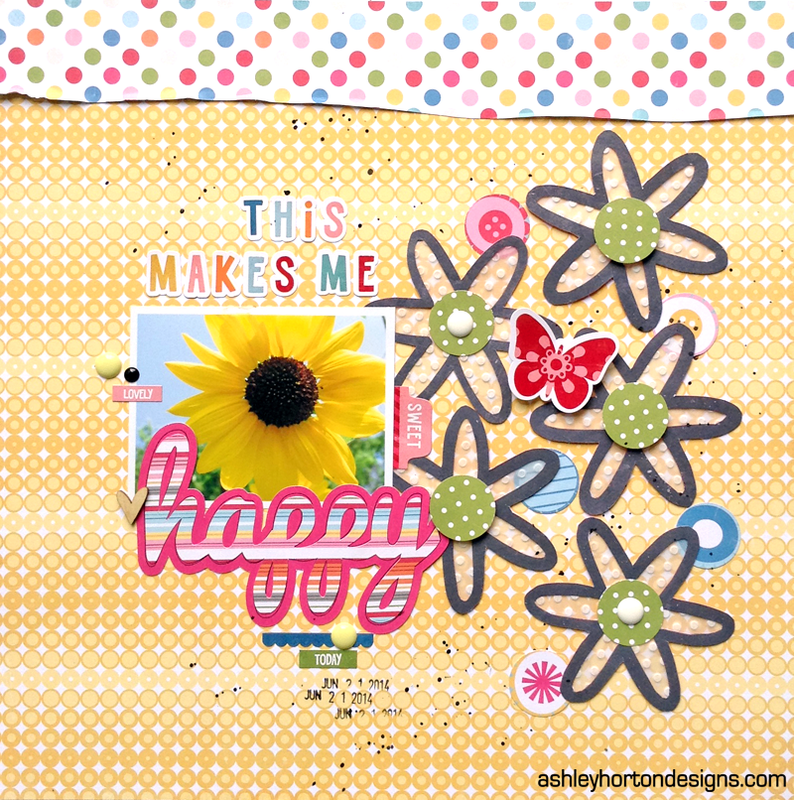 What about mixing them with the Designer Stamp sets, to create awesome looks for your projects!